Update: Be sure to read an update to this post with more detail on how the photographers created their pieces here. 26 Blocks is an art project that “…showcases the work of 26 of Metro Phoenix’s best photographers working with 26 of Metro Phoenix’s best writers.” They worked together to offer their interpretation of one of 26 downtown Phoenix city blocks through photography and the written word. Then the sculptor, Rafael Navarro, topped off each presentation with a 4″ x 4″ square block sculpture of each block. The exhibit began at the After Hours Gallery in Downtown Phoenix last month and in now starting a tour of venues around the city. I missed the opening at After Hours but was able to see the exhibit at the University of Arizona College of Medicine’s downtown Phoenix campus last Thursday, the first stop on its city tour. The College of Medicine show was not in a normal gallery space. 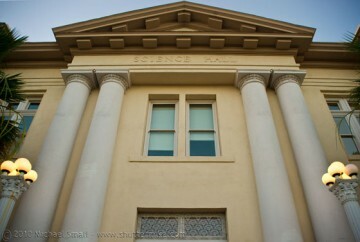 Rather it was in the auditorium of the old Phoenix Union High School that has been renovated and now houses the college. As a result a traditional gallery layout was not possible. So each city block’s pieces were propped up on tables around the large auditorium room. I do not think the unconventional setting distracted from the works however. In fact, the history of the old high school building now having been re-purposed and given a new life, almost added another layer to the stories of the Phoenix city blocks being told through these photographers, writers and sculptor. One of the most interesting aspects of this show was the unique interpretations each pair had of their individual city blocks. Blocks that may not have been separated by more than one street could seem miles away as each photographer and writer approached them from very unique perspectives and visions. The photography ranged from the very straightforward architectural and portrait to much more abstract interpretations involving post-processed works. Two that stood out as favorites to me were Block E from photographer Chris Loomis and Block V from Stephen G. Dreiseszun. Chris’ photograph of Block E, the lot of dirt that splits 3rd St into two separate lanes to the east and west of it, just south of Roosevelt, stood out to me for two reasons. 1) It was a bit more on the abstract side and 2) whereas most of the other lots were developed and alive with urban life, this lot was in more of a “what once was” state being dirt and foundations of former structures. So some creative license had to be taken to make an image out of a vacant lot. Appearing as though it was taken from high above, crop-circle like shapes fill the dirt and weeded lot while a girl in bright blue appears to be dancing inside the shapes. Chris’ photograph is a great example of the art of photography to me. The artist saw what was and turned it into his own vision through photography. Stephen Dreiseszun’s photograph of Block V was very different than Block E. Block V encompasses the construction site between Washington and Jefferson on the North and South and 1st Ave and Central Ave. on the West and East. The very urban scene of high rise construction was captured by Stephen beautifully. The lighting of late evening makes the sky a deep, rich blue while the lights of the street sign and construction crane highlight these urban elements. The perspective captured in the photography for Block V is one that the casual passer by may not take the time to notice. But this image captures what I feel the 26 Blocks project is all about, seeing urban downtown Phoenix at more than everyday street level views and taking the time to stop and notice the subtle beauty of the built environment. The pairing of two art forms, photography and writing, has resulted in a show that speaks to a broad audience. The art lover, the lover of the written word, the urban dweller, the suburban admirer of the urban environment and fans of a diverse and dynamic city such as Phoenix. 26 Blocks is on Tour through the remainder of the year at venues around the Valley. This is a unique project that is well worth seeing regardless of which of those categories you fall into, or even if you fall far outside of those categories. Check for tour dates and locations and make sure you see the 26 Blocks exhibit before it is gone. You may recall I posted about a great deal on canvas prints from artscow.com not too long ago. I ordered the custom canvas 12″ x 12″ and it arrived today, about 12 days after having placed the order. Here are my thoughts on artscow.com and their canvas prints. Shipping Time: My understanding is that the printing is done in Hong Kong which allows for the low prices, but you trade off with longer shipping times. Although we are used to near instant gratification nowadays, 12 days from day of order to day of receipt is not excessively long for printing and shipping. Especially since this particular deal included free shipping (you normally pay for shipping). Packaging: Here is where I was most disappointed. The canvases were rolled around a foam tube with tissue paper in between them (see overall product quality for more on this) then put in a plastic envelope. That is not much protection for a trip from Hong Kong to the US. As a result one of my canvases was slightly damaged with a bent corner. These need to be shipped in a sturdier container. Image Quality: The image quality is not bad, but it is not spectacular either. For the price they charge you are getting comparable image quality. But if you want or need vibrancy and sharpness to wow you, these canvas prints fall short of that. Overall Product Quality: The cotton canvas used is good quality. The inks however, are non-waterproof. This is the reason for the tissue paper in the packaging. Inks can transfer to other surfaces especially if moisture is involved. That means you need to beware of humidity and you cannot wipe these down like you can with some other canvas photo prints. Site Experience: The saying “If it isn’t broke, don’t try to fix it” applies to the Artscow website. They appear to have attempted to use a new type of photo print ordering system that is unlike any of the other photo print companies. I’m not sure that has worked out too well for them. The system is not intuitive, it is cumbersome, and down right confusing at times. The product descriptions need a bit of fine tuning as well. The product I ordered is listed as “Custom Canvas 12″ x 12″. We print your digital photos on canvas, ideal for displaying in the home or workplace.” I assumed these would be stretched and although the site never said they were, they also never said they were not. This was my misunderstanding more so than artscow’s misrepresentation (although I think they could have made the distinction more clear). Just make sure you know what you are getting. Also keep in mind that when you order a 12″ x 12″ (or any size) unstretched you will require at least an inch all the way around to wrap around the frame should you decide to stretch it. Final Rating: My final review of artscow.com canvas prints is three out of five cameras. You will be hard pressed to find better pricing. But, as with most everything, you get what you pay for so when the price is 1/2 everyone else you should not expect the same quality. If you want something different for your family photos or your favorite photo to hang in your home these are good canvas prints. If you are looking for high quality canvas prints suitable for your next gallery showing you will need to fork over a little more cash. 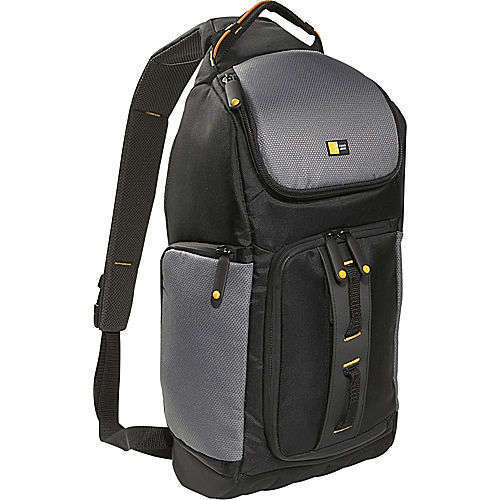 The Sling – This was an ingenious invention that allows for quick and easy access to your camera without ever having to take the bag off your shoulder. Flexible Configuration – I haven’t counted but the padded Velcro dividers in each compartment make for countless possible configurations. 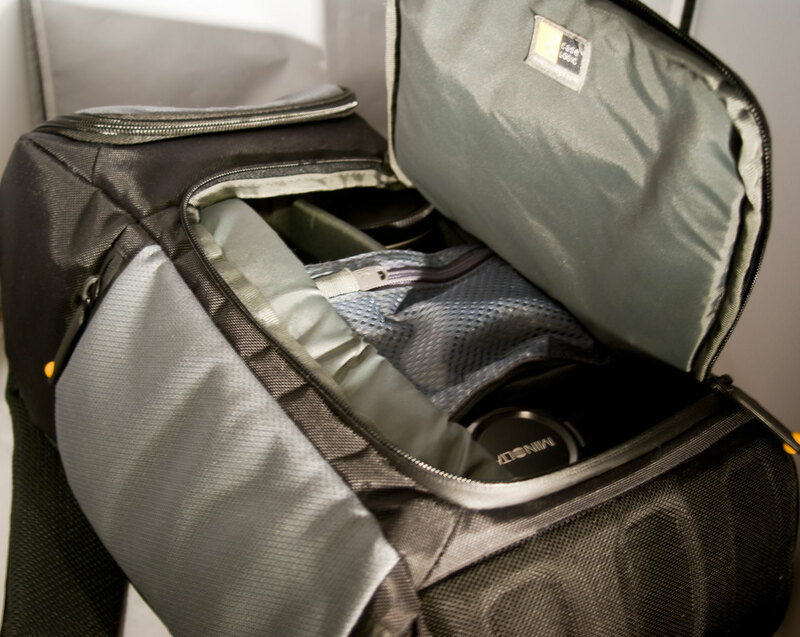 You can move them around to make separate compartments for each of your accessories from lenses to flashes. My only complaint about these is that the Velcro sticks very easily to all the bag’s surfaces. So as you are reconfiguring it takes some maneuvering to get it just right. 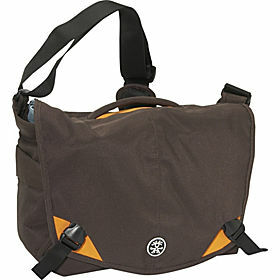 Compartments – With six compartments (some hidden within others) this bag has more space than it looks like it would offer. The aforementioned dividers turn those 6 into many more giving you a secure spot for just about everything. I have managed to get 3 lenses in addition to the one on the camera, a teleconverter and a flash unit fit very nicely and then filled in the rest of the space with my smaller accessories. The Price – At under $40 this bag is a bargain.